We live in a changing world. As educators and parents, it is our responsibility to prepare children to be a part of an evolving society. Nations are increasingly dependent on one another. We no longer live in a world with clear boundaries and divisions. We are experiencing more interaction between people of different cultures than ever before and this pattern will continue. International Spanish Language Academy is prepared to involve students in educational experiences that will prepare them for life in a global community. We know from brain research that the most effective time to learn a second language is in early childhood. Yet the vast majority of public schools districts do not offer second language study until late middle schools years. This is a great missed opportunity for our children. Dr. Paul Thompson is a brain imaging researcher at UCLA. He and others used magnetic resonance imaging (MRI) to obtain brain scans from children ages 3 to 15 years. Between ages 6 and 13, the researchers found a pattern of rapid growth moving from the front of the brain to the back, toward the area of the brain that is specialized for language development. Researchers believe that ages 6 to 13 may be the most efficient time to learn a second language, because language systems are developing so quickly during this time. (Thompson, P.M. et al. March 9, 2000. "Growth patterns in the developing brain detected by using continuum mechanical tensor maps." Nature. Vol. 404, pp 190-193.) 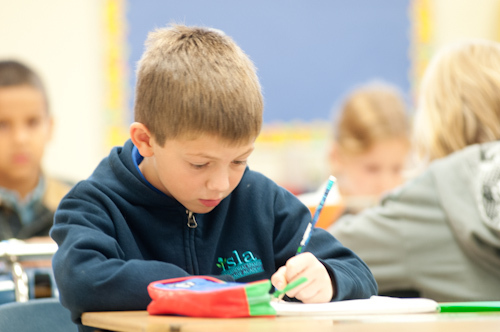 The language immersion method is a proven means of educating elementary aged children while simultaneously teaching them a second language. Nearly four decades ago the first immersion schools took root in Canada. The United States quickly followed with the first American immersion school opening in Culver City, California. Much research on immersion education and language acquisition has followed. The research has been very positive. 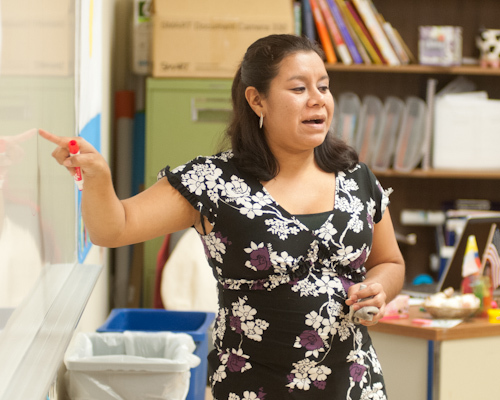 Students in language immersion programs gain near native fluency in the second language, they master the regular subject matter, and they match or out-perform their peers on standardized tests in all areas of assessment. “There is accumulating evidence that learning additional languages – particularly from an early age- has cognitive and academic benefits. Mental flexibility, the ability to shift easily between symbol systems (such as math and literacy), improved abilities in divergent thinking, meta-linguistic awareness, and occasionally, higher scores on measures of verbal intelligence are correlated with early language learning.” (Robinson, Deborah W. “the Cognitive, Academic, and Attitudinal Benefits of Early Language Learning.” In Miriam Met, ed., Critical Issues in Early Second Language Learning. Glenview, Ill.: Scott Foresman Addison Wesley, 1998). ISLA is a school that was developed by professionals who taught in immersion education for nearly twenty years. That experience in immersion consists of teaching both in and outside of the United States. During this time, ISLA developers attended numerous conferences, classes, and staff development on the topic of immersion education. ISLA is based on decades of research conducted in both the U.S. and Canada. While our philosophical convictions lead us to extensive involvement in immersion, it is research as well that guides us in developing a high quality school.